We have ship plans for Arthur M. Huddell, one of three remaining Liberty Ships, of which the U.S. Maritime Commission ordered more than 2,700 during World War II. She was classified as EC2-S-C1. These standard-design, mass-produced general-purpose cargo ships were the workhorses of World War II. 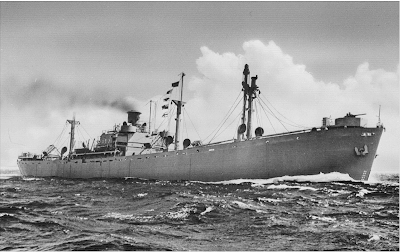 Libery ships were part of the U.S. Maritime Commission’s “Emergency Program” launched when the United States entered World War II. The massive ship construction plan utilized new and existing shipyards across the United States to build ships of standardized design from prefabricated parts, greatly reducing construction time.